Each year university students seeking greater understanding of international diplomacy and the UN system have the opportunity to accompany Augustinians International in its variety of tasks. As youth representatives, students give voice to their shared experiences and insights. AI is also enriched by the students’ perspectives and recommendations on critical issues and projects of the Order. 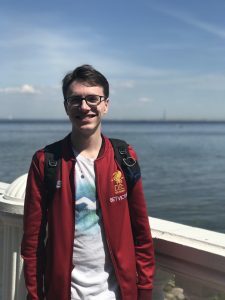 For the academic year of 2016-2017, two students from Lehigh University (Pennsylvania, USA) — Anastassiya Perevezentseva (originally from Kazakhstan) and Michael Horgan — have joined AI. The focus of their tenure is to promote the vision of the UN’s Sustainable Development Goals (SDGs) and a sustained reflection on these goals through social media, specifically, the Youth Representative Blog on the Augustinian International website. The representatives will also begin to lay the groundwork for input from the Southwest region of the USA that will contribute to the 2018 Global Forum on Migration and Development. The world is a complex place, and information technology coupled with globalization is only increasing the meaning of this idea. Yet despite this, and all its shortcomings, Dwight D. Eisenhower remarked that the United Nations “represents man’s best organized hope to substitute the conference table for the battlefield”; and it this idea that gives purpose to our work. This is my first year joining as a new Youth Representative for Augustinians International, and I’m beyond excited to get started. NGO’s are continually rising in their importance in the UN system, and they give a voice to the individuals and groups whose needs and cries often are too easily ignored. NGO’s carry forward the principles and values that often aren’t present enough in the world, and they occupy a very special, but also a very vital place in international politics. Having heard of the Augustinians’ past work with ongoing human rights crises, such as in Congo, and working to further educational development, the Augustinians are just one of many NGO’s working tirelessly to improve the world. I take pride in being able to join this effort, because I believe in the capacity of humanity to work together. Diversity should not be grounds for conflict between cultures and groups around the world, rather our differences should form the foundation for curiosity, learning, and understanding. I look forward to working with Fr. Dueweke in pursing this vision. The challenges ahead are but a reminder of the necessity of work that the Augustinians, along with other NGO’s, strive to achieve in an effort to change this world for the better. As the saying goes, more practice makes perfect. As I like to say, more practice makes progress. I am beginning my second year as a Youth Representative for Augustinians International and am starting to see progress in my work both personally and professionally. We’ve focused our initiatives the past year on human rights crises, like Congo and South Sudan, and education, like Model UN programs, and have made great strides in our research and proposals. Yet, beyond the surface I have learned so much more than that. I’ve learned to critically think, ask questions, form valuable relationships, see the other side, and–most importantly–lead with love. I hope to continue developing these learnings and explore new ideas. I feel far more confident navigating the UN and NGOs are understand the intersectionality between the two. Of course, like any institution, there are barriers that need to be broken through, but after a year I have a greater understanding of how NGOs can play a role in the UN and how impactful our voice can be. This year, I’d love to see an even bigger impact and I think Fr. Dueweke’s position on the committee for Spirituality, Values, and Global Concerns will present new opportunities, broaden our horizons, expand our network, and create a larger platform. I’m looking forward to another exciting year with Augustinians International and feel truly blessed for the wonderful team we have. Cheers! Anastassiya delivered this speech at her graduation ceremony at Lehigh University. 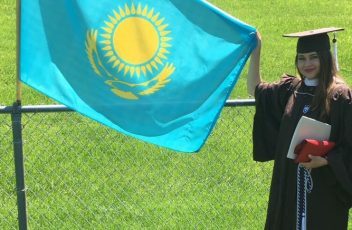 She will now pursue a PhD degree in International Studies. She was the Youth Representative for Augustinians International at the United Nations during 2016-2017. I am very honored to address you today. In the spirit of the Baccalaureate, I would like to share with you how my religious tradition had illuminated my academic pursuits. I would like to acknowledge that my speech is heavily inspired by the writings of my mentor, Augustinian friar Fr. Robert Dueweke, whom I highly admire. During my undergraduate studies of international relations, I learned about conflicts that permeate our world. On a frequent basis we encounter news about horrific tragedies. Before I became Catholic my first year at Lehigh, I was often tempted to perceive the violence I heard about as distant and remote from my own life. However, my worldview has changed after I started perceiving humanity through the Christian notion of the “body of Christ”. If we imagine a planetary human body that extends above humanity, we will see that the violence in any part of the world could be compared to a wound which ultimately leads to a weakening of the whole person. Fr. Dueweke challenged me to look at the Cross, a Christian symbol of violence, as a question mark: what will my response to the violence be? I want to encourage all of us to respond to it with the following principle of Catholic social justice: See – Judge – Act. A Jesuit philosopher Bernard Lonergan further provides us with advice on how to judge and act: “Be attentive, be intelligent, be reasonable, be responsible, be in love”. These ideas helped me to respond to the discouragement I would feel in the face of the global issues, and motivated me to persevere in actions addressing them, despite of how helpless I felt at the moment. As a result, I was able to contribute to improving the wellbeing of others around me, ultimately leading to the overall betterment of the communities I consider myself a part of, both local and global. I strongly believe that if equipped with the notion of care for each other and the resolve to be attentive and in love, each one of us is able to rise above tragedy and violence and take action that brings about the peace and joy that all of us long for. In closing, I would like to say that I am grateful to Lehigh for providing me with an opportunity to learn how to serve both the Lehigh community and the global one fearlessly through love. Thank you! This blog post we would like to focus on the political, economic, and social crisis in Congo. Congo, which is located in central sub-Saharan Africa, has been on a steep decline with the continuance of the presidency of Joseph Kabila. Kabila was supposed to step down after his constitutionally mandated two-term limit in December 2016, but managed to hold onto his power through delaying elections and rejecting those who went against him. According to The Washington Post, “The country’s influential conference of Catholic bishops warned in June that the country is in a “very bad” state and called on all Congolese to “stand up” and “take their destiny into their own hands.” This followed an “urgent appeal” from former United Nations secretary general Kofi Annan and nine former African presidents, who warned that the future of the country is in “grave danger.” As the political opposition and peaceful protesters continue to be oppressed, violence by armed groups, militias, and government forces have escalated. In response, the United Nations Human Rights Council authorized an international investigation into the violence that penetrates the Kasai region. According to The Washington Post, “The resolution, adopted after weeks of intense negotiations, doesn’t go as far as the situation warrants. But it does bring hope of uncovering the truth of the horrific crimes and identifying those responsible. And it’s a step toward justice.” You can learn more about UN efforts to stabilize the situation in Congo on the current UN News Center Spotlight on Congo. Please also join us in prayer and fasting, as Pope Francis has called for on February 23, 2018, the Day of Prayer and fasting for Congo and South Sudan. The 12th of June 2017 marks the World Day Against Child Labour, which was originally launched by the International Labour Organization (ILO) in 2002. According to the UN, its aim is to “focus attention on the global extent of child labour and the action and efforts needed to eliminate it”. The observance of this day emphasizes the issue of child labour and the actions that governments and civil society can undertake to help children. This year’s focus is on children affected by disasters and conflicts, because a significant number of the estimated 168 million child labourers also suffer from conflict. 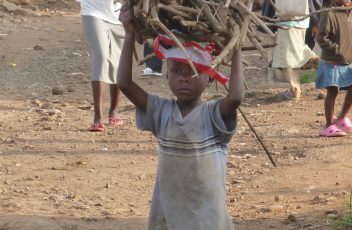 Disaster makes children especially vulnerable to trafficking and child labour, often in hazardous conditions. During my visit to the UN 61 session of the Commission on the Status of Women on the 21st of March, I was fortunate to attend two Lehigh-led events: one briefing in the UN HQ and one side event at UNCC.